can handle,and each exception type is separated with a vertical bar (|). Note: If a catch block handles more than one exception type,then the catch parameter is implicitly final. cannot assign any values to it within the catch block. 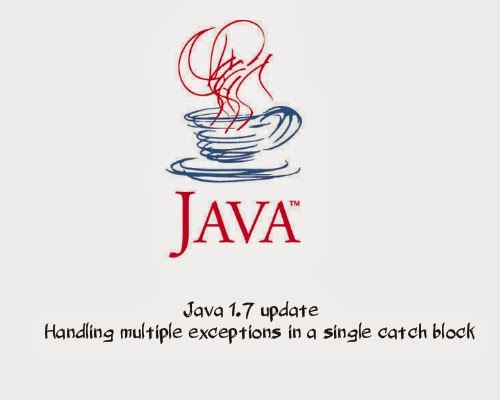 Advantage of this update: Byte code generated by compiling a catch block that handles multiple exception types will be smaller (and thus superior) than compiling many catch blocks that handle only one exception type each. A catch block that handles multiple exception types creates no duplication in the byte code generated by the compiler;the byte code has no replication of exception handlers.